b.) pursued so regularly that no one knows or remembers why they’re doing them in the first place. Well, you got me. I am. See, life is the strangest thing around. When you’re born, you wake up in a world already at work – dropped onto a treadmill in motion. So it’s hard to find your footing. You learn how to carry out all sorts of tasks and develop all sorts of skills, but the reason for learning those things is often lost in the mix. Pretty soon, you find yourself performing a range of activities without a clue as to why you’re performing them. You live a life without any reason as to why you are living it. So people, organizations, and corporations might try to get you to drink and do drugs for reasons that might be more beneficial to them than they are to you. Tonight, then, I’ll be using my why-to process in relation to the pursuit of drugs and alcohol and to really illustrate the benefits and drawbacks of pursuing such activities, I have had several shots of vodka and taken three valiums before this presentation began and I will continue to imbibe throughout the thing. As is the case with all inventions, necessity is the mother of alcohol and whoever the first human was to taste its effects was most likely the first human to experience a real good time. After years and years of survival, there was born this thing – this substance that would push the mind into a state between consciousness and unconsciousness. And this person, this pioneer at the borders of human experience, was able to drink so much of it as to escape from the game while still living it. 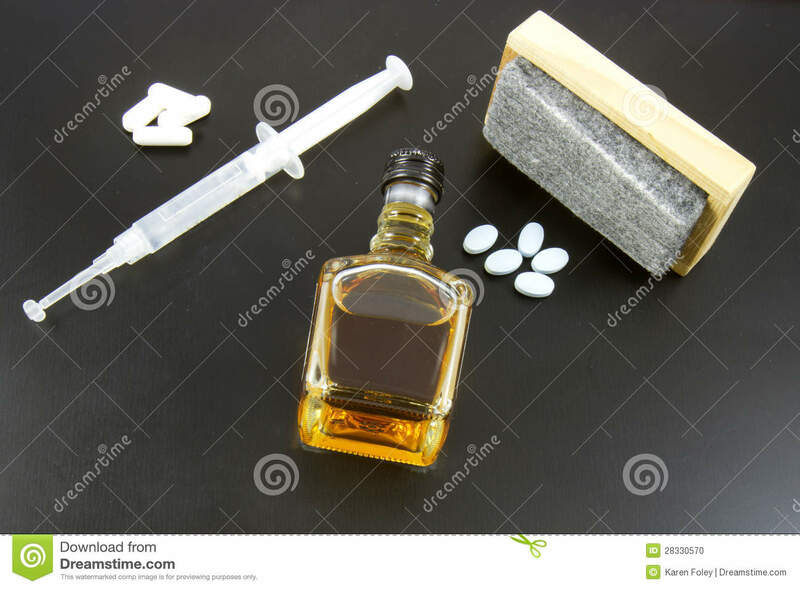 And with this substance in hand, bloodstream, and digestive system, this person introduced it to the rest of the clan and imbibing in alcohol became a social event with everybody having a real good time. At this point in human history, before kings ruled and industry confined behavior to a narrow set of rules, alcohol was thought of as a gift from the gods, something to lessen the pain of daily wounds and meager subsistence. It was a way to gain insight, really. Educational, like a knock on the head. After the human race entered into the epoch of elaborately ornate social mores, alcohol was still there, allowing people to break free from the shackles of propriety and indulge in uninhibited thought and action. A person could say and do things otherwise thought questionable or dumb like grab their balls in front of a buncha people and jump up and down, making each bender an inevitable adventure. Finally, even when the novelty of drunken carousing had worn off and the brutal effects of intoxicated violence and damage was revealed – when everyone really “got” alcohol and everything it did and the fun wore off- alcoholism could still exist as a necessary crutch to make each day livable. I don’t drink often because I’m afraid of being an alcoholic, but it’s definitely necessary in social situations, to avoid the feeling of judgement and persecution that naturally come with the paranoia of social situations. But, hell, we all do this thing, so it can’t be so bad as long as you don’t get in a car and crash it into something and ruin your life or someone else’s. Drugs, those can be a real hum dinger. Valium is an anti-anxiety drug. In the United States, it requires the authorized prescription of a psychiatrist. In Bolivia, there are pharmacies where they’ll give you whatever as long as you pay them. The lack of anxiety can free your inhibitions to the point that you aren’t aware you were a self to have any inhibitions in the first place. Combined with alcohol, it really cuts your strings. All the rules you learned, the ways of behaving – more importantly, the ways of behaving – are forgotten. You feel a looseness of the tongue. Maybe it’s as though you begin to channel the Universe, unadulterated by the self. For instance, the words that go clack-a-doodle-doo on everything that you do come not from you, the conscious ego, but from your unconscious, which is basically just unsorted sense data or, in other words, everything. The lack of filter releases an energy of something so grandioso as to be an oso of tremendous proportiosionos. And the self is gone entirely and replaced with something resembling wind. That flows with the nose of eternity. And you’re just you doing what you do which is all that you ever do and that’s the truth, the god awful truth, so help me I’m god. You all have asked yourself this, haven’t you? Your actions, whatever they may be, are like a cupcake, right? You can enjoy them, but it’s difficult to determine the impact they might have on anyone or anything. Why do you write and do art? If it’s self-expression, well you were gonna end up expressing yourself anyway. Maybe you are trying to change something, well then you gotta see that you are parter of a bigger thing that’s changing you, probably more so than you are changing it. Like a big ol’ flower. Right? You do the thing that you do because you do what you do, you can at least agree on that. Careful now, though, Mike. Thars snakes in these here hills. Anyone and everyone will know what you’re up to. Illicit materials are admissible evidence in the trial of your sanity. Leave any trace of yourself behind and they’ll know what you were up to in the latest of nights and the loneliest of transmissions. Who are you presenting this to anyway? Maybe just yourself if these nice folks don’t exist. Even if they do, they probably have no idea what you’re talking about at this point. God, wouldn’t it be nice if people could just understand you? I mean, we’re all basically saying the same thing or we’re trying to get on the same page and understand this thing, aren’t we? We just don’t know that we’re doing that. Just trying to get comfortable? All on the same page, just disagreeing on how to get comfortable. None of us asked to be born in the first place. It gets to be so hard, you know? To come up with reasons to live and no one even cares, you know? Come on everyone, you know the song. You are currently reading "Why-to test the limits of human experience by indulging in the excesses of drugs and alcohol:"